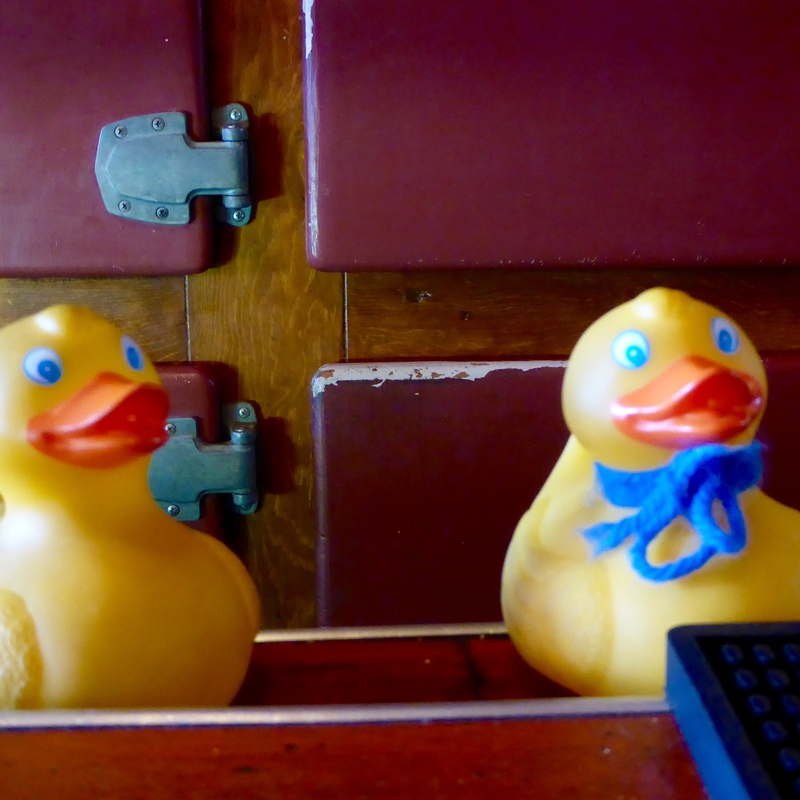 Zeb and Soapy Smith Duck anticipate lunch at Patsy’s. 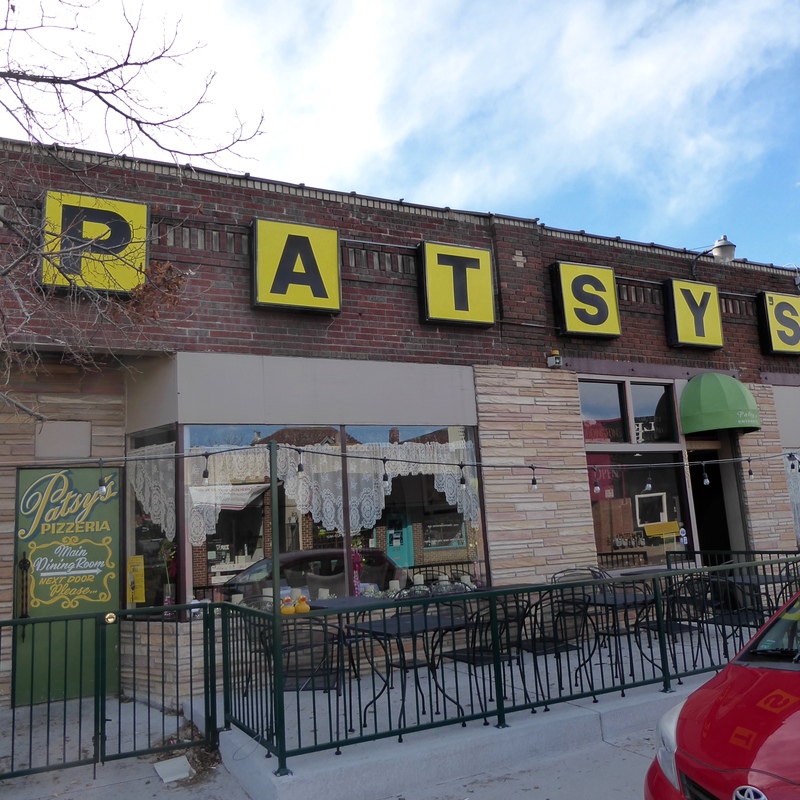 Patsy’s, opened in 1921, by Mike and Maggie Aiello, is Denver’s oldest Italian restaurant and is still owned by the same family. 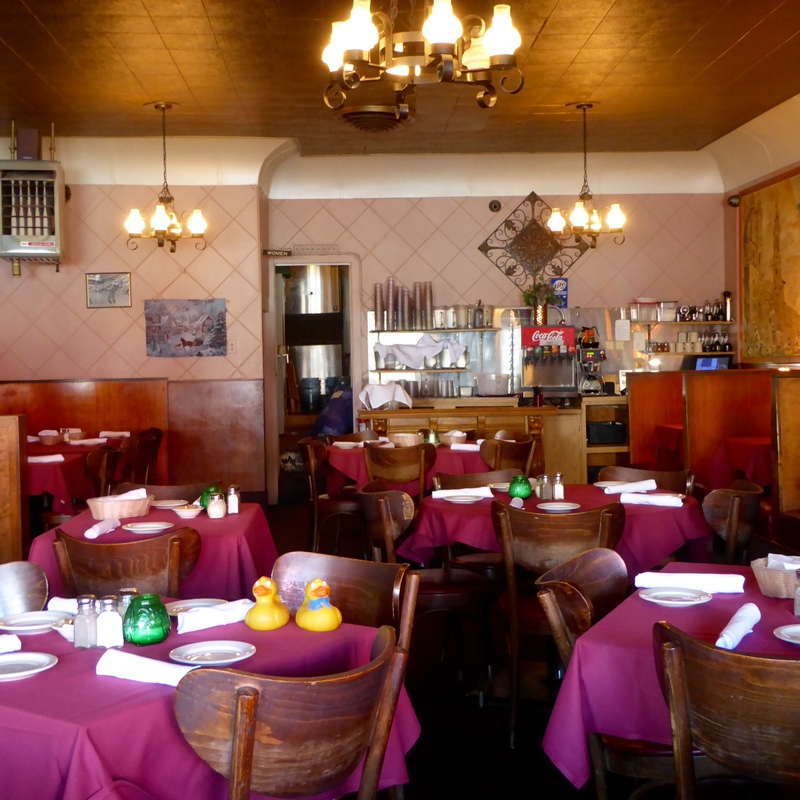 We went into the main restaurant, but there is another section, Patsy’s Pizzeria. Joseph greeted us at the door and let us pick our table. Joseph took care of us while we were there. We like Joseph. He is very friendly and brought us food and lots of beverages. Our food was delicious. We ordered cavatelli with original spaghetti sauce. Yum. Great flavors but not overpowering. 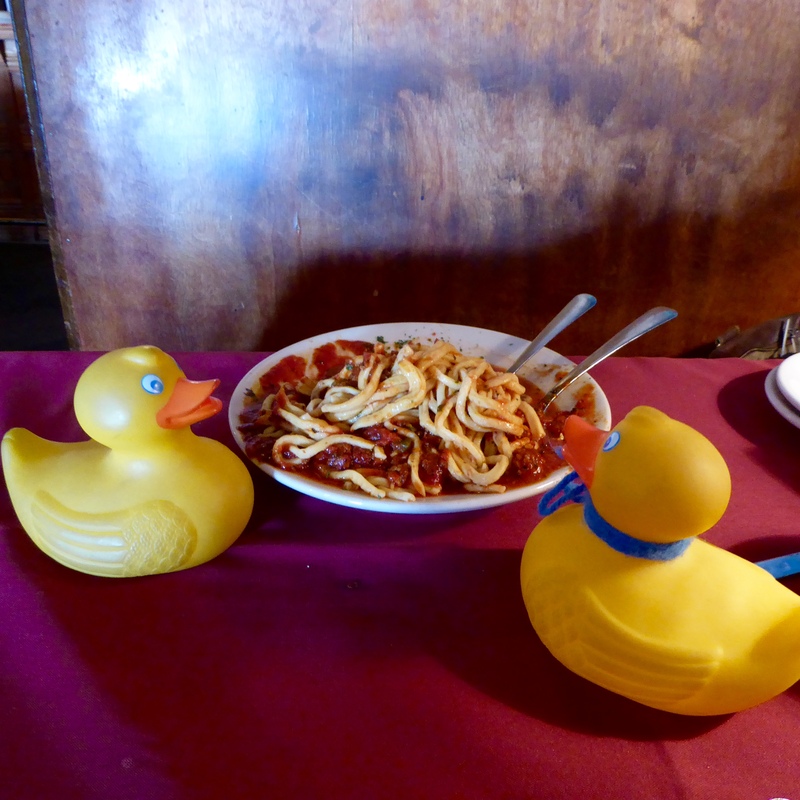 We also ordered Patsy’s speciality of homemade spaghetti with a meatball. Each human also enjoyed a bowl of homemade minestrone. Fresh bread was included. Everything was very tasty, fresh, and the portions were huge. Along the wall of the dining room, we admired this hand painted mural. So many famous scenes from Italy. After eating, we walked to the bar. 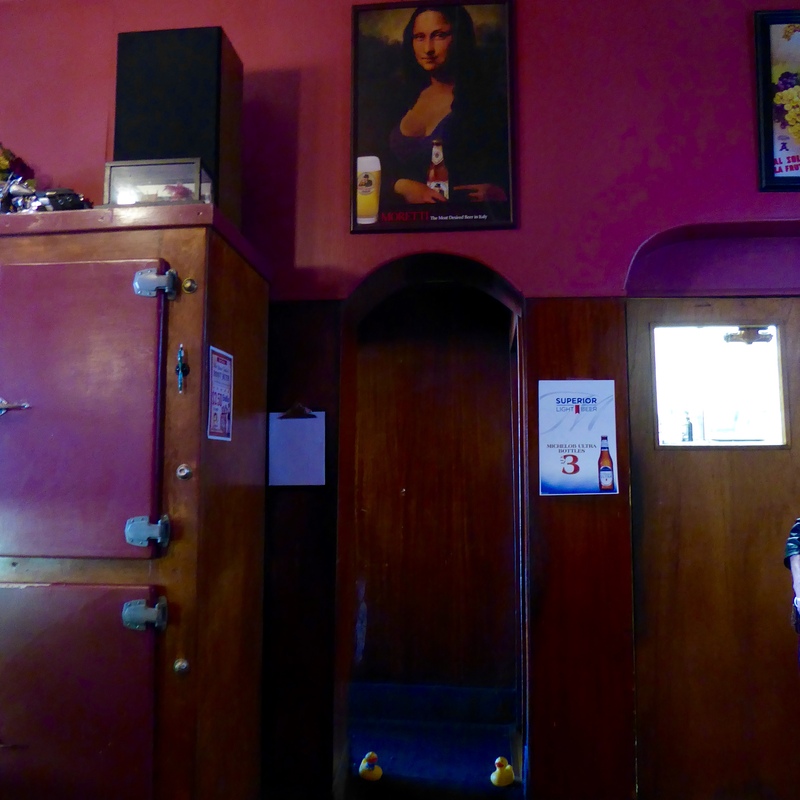 Behind the bar is a bullet hole. The story says that a married man came to the bar with a woman that was not his wife. His wife knew. The wife came into the bar, fired two shots, injuring no one, and walked out. The husband understood what he needed to do. We believe actions do speak louder than words. 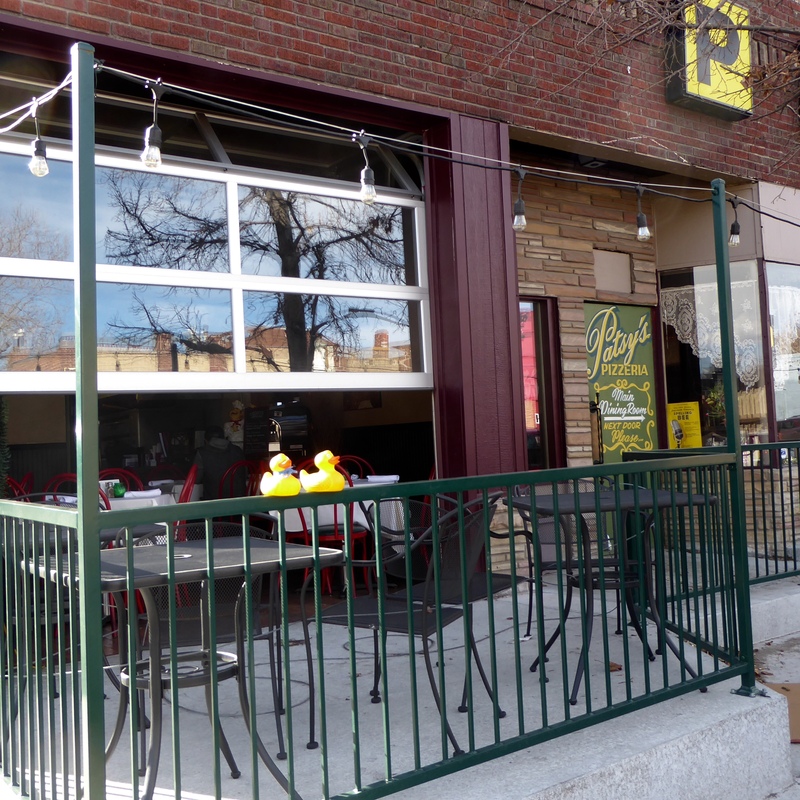 Recently the patio by Patsy’s Pizzeria was added. During the work, the owners went into the dirt basement that had been filled with mud. They found bottles, glasses, photos and other item previously used in the restaurant. Rumor says that there is also a body buried 8 feet under the restaurant. We don’t know, but upstairs, we decided not to go through this door. You just never know what you may find. Another dining area? Stairway to a body? We stayed upstairs by the bar. 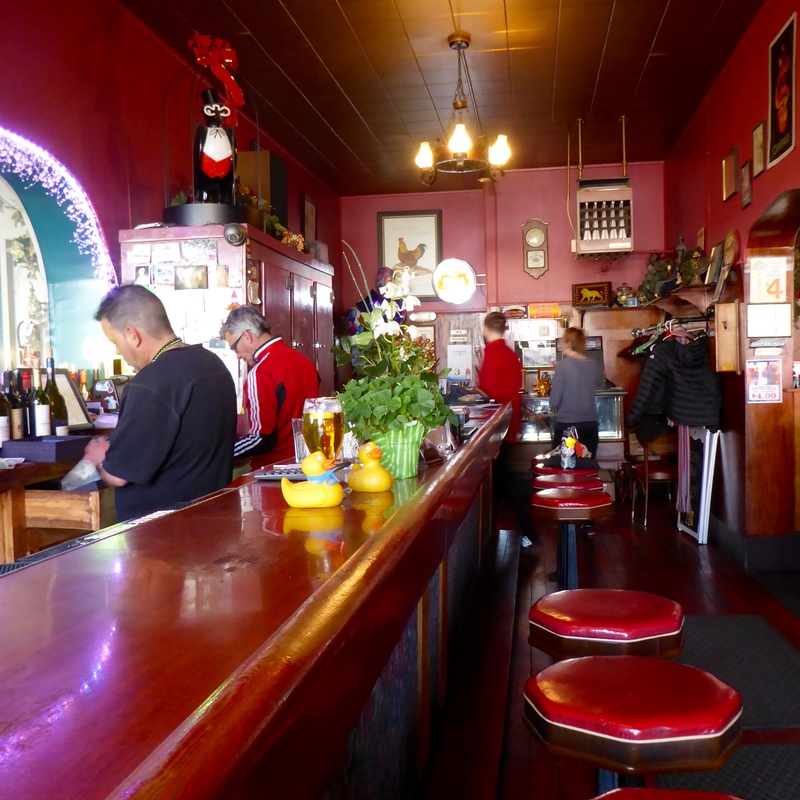 The other patrons talked to us and told us stories about Patsy’s. 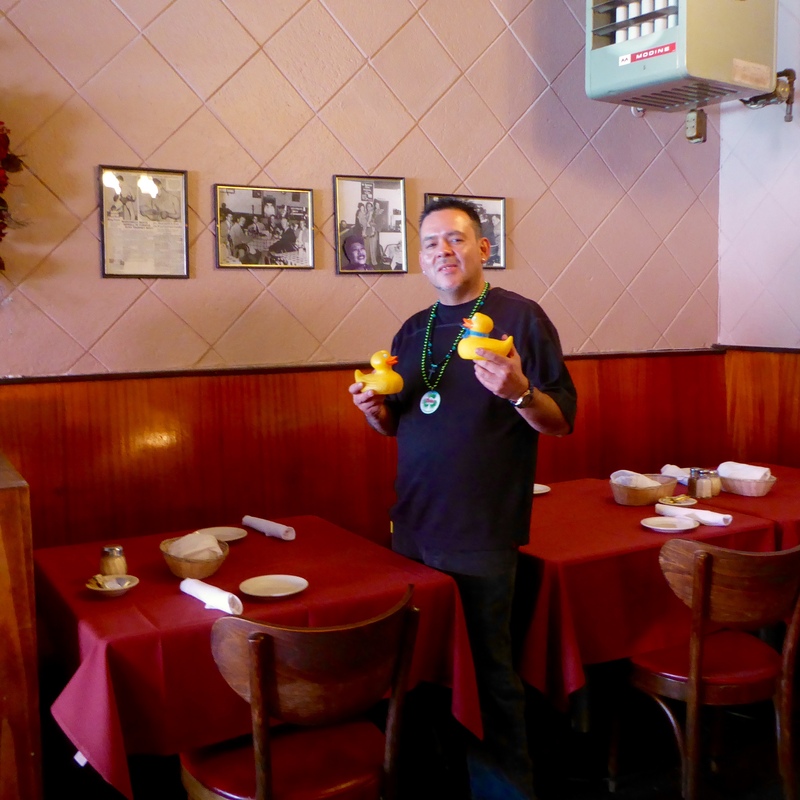 This entry was posted in Colorado, Uncategorized and tagged Colorado, Colorado Traveling Ducks, Denver, Italian food, Mike and Maggie Aiello, oldest Italian restaurant, Patsy's Inn. Bookmark the permalink. I believe you would enjoy it. A different restaurant when you come to Denver. Check out the bullet hole. And no injuries. Thanks for reading and commenting. It was very good and since everything (even noodles) are homemade, and the kitchen is open, the restaurant smelled wonderful. Thanks for reading and commenting. Adding this to my list for one of my trips to Denver! I usually pick up a friend who lives in Aurora and we try out a restaurant we haven’t visited. Looking forward to visiting Patsy’s! If you go to Patsy’s you will not be disappointed. We really enjoyed it. Thanks for reading and commenting.